DEPOSIT AND PAYMENTS: 50% of your reservation is due at time of reservation. The total is due 90 days prior to your check in date. If you have a credit card on file it will be charged automatically unless other payment arrangements are made. Please review your reservation and make sure all the information including check in and check out dates are correct. PAYMENT TERMS: All major Credit Cards are accepted. CANCELLATION: There is a $275.00 cancellation fee for any cancellation notification received more than 90 days prior to occupancy. There are no refunds if the reservation is cancelled less than 90 days prior to the arrival date. RATES: Rates, terms and applicable taxes are subject to change without notice. We reserve the right to move Guest up to 30 days in advance to a comparable property or refund the Guest the amount paid. DAMAGE PROTECTION INSURANCE: If applicable, the purchase of Rental Unit Damage Protection Insurance covers unintentional damages to the rental unit interior/exterior or golf cart that may occur during your stay, provided they are disclosed to management prior to check-out. The policy will pay a maximum benefit of $1,500. Any damages that exceed $1,500 will be charged to the credit card on file. If, during your stay at one of our Rental Properties, a Guest causes any damage to real or personal property of the unit as a result of inadvertent acts or omissions, the Insurer will reimburse us for the cost of repair or replacement of such property up to a maximum benefit of $1,500. Certain terms and conditions apply. Full details of the Rental Unit Damage Protection coverage are contained in the Certificate of Insurance or Insurance Policy. By submitting payment for this plan, you authorize and request Rental Guardian to pay directly to our company any amount payable under the terms and conditions of the Rental Unit Damage Protection Insurance. CHECK IN AND CHECK OUT: The rental period begins at 4:00 p.m. on the day of arrival and terminates at 11:00 a.m. on the day of departure, unless prior arrangements have been made. Early check ins or late departures will incur an extra charge of $25. The properties are professionally cleaned and inspected before and after each rental to ensure that all guests have a clean comfortable stay. Please be thoughtful of renters who may be checking in on the same day that you checkout. Occasionally delays may occur during peak season. If you experience any problems whatsoever with the vacation property during your stay, please contact us and we will do our best to rectify the matter as soon as it is practically possible. Should a problem remain unresolved, you are required to notify us in writing within 7 days of your return. No action can be taken or liability accepted for any complaints received after this period. We aim to resolve complaints within a two month period from receipt, the details of which will be kept confidential to only the parties involved. Please note that as Florida and Puerto Rico are considered tropical states, insects such as ants and the like are occasionally inevitable, and are not cause for complaint. The vacation property is treated periodically as part of a pest and termite control program, and is cleaned after each rental. NO SMOKING: Smoking is not allowed in any of our units or on the property of any vacation rental we manage. PET POLICIES (Allowed in Pet Friendly Units Only): There is a maximum of one pet per unit. Guest pets must be treated for fleas and ticks prior to arrival. Guests must pick up after pets and tightly tie the remnants in a plastic bag if staying in a Pet Friendly Unit. Pets are not allowed on the furniture and all pet hair must be cleaned up prior to departure. A $150 fee will be charged if there is any report of pet hair on bedding and sofas. Guest pets must be leashed at all times when outside of the unit. The violation of any terms of this pet policy subjects the guest to additional fines or termination of the rental period. Guest pet policies and unit availability are subject to change per county and association rules and regulations at any time. GUEST agrees to indemnify and save our company harmless from all liability, loss or damage arising from any nuisance or harm made or suffered on the premises by the GUEST, tenants, or guests or from any carelessness, neglect, or improper conduct of any persons entering, occupying or visiting the premises. We accept no responsibility or liability for any loss or damage or alteration to the terms of your reservation caused by events beyond our control, including but not restricted to war, terrorist activity, civil commotion, flight delays, or cancellations, airport closures, loss of luggage, adverse weather conditions, fire flood, or industrial dispute. We cannot accept any liability for failure of public supplies such as water, electricity, Internet or breakdown of the air conditioning system. Nor for the consequences of the action or omissions of persons who may control or supply main services, or any actions taken in the vicinity of the property reserved, by any authority over which there is no control. 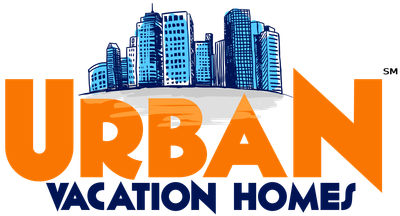 Per local ordinance, please refer to the following link for a copy of the Fort Lauderdale Vacation Rental Ordinance.